Ch. Didier Gondola is Chair of the history department and Professor of African History and Africana Studies at Indiana University – Purdue University, Indianapolis. He is currently a resident at the Collegium of Lyon. He earned a Ph.D. in African History from the Université Paris 7 in 1993. 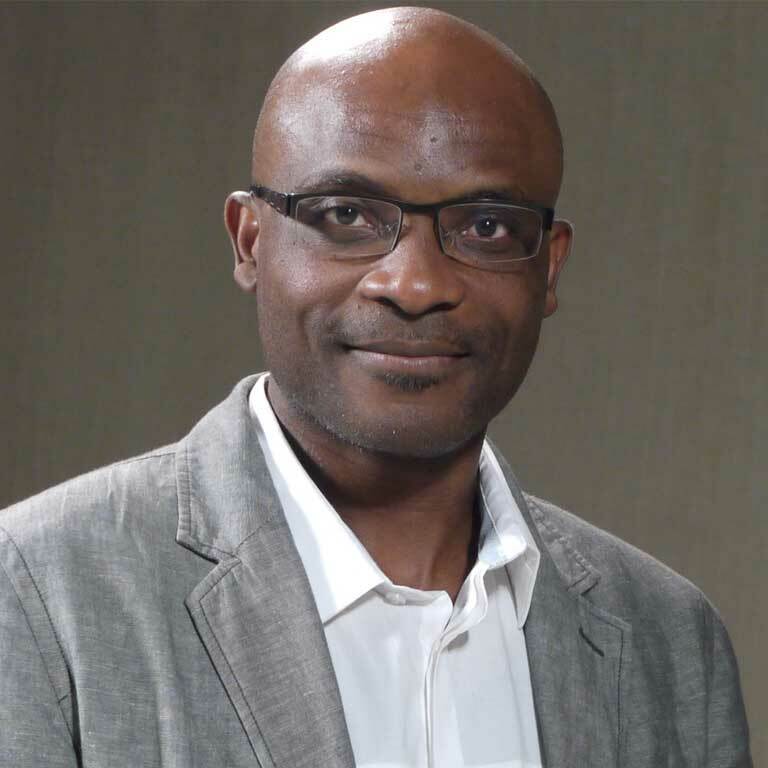 His publications include numerous articles and chapters on popular cultures (music, fashion, gambling, and memory), gender and postcolonial issues in Central Africa and the African diaspora in France. His most recent book, Tropical Cowboys: Youth Gangs, Violence, and Masculinities in Colonial Kinshasa (Indiana University Press, 2016) examines the ways in which young people commandeered images from Hollywood western movies to forge new standards of manliness and masculinities in 1950s Kinshasa. His book Africanisme: La crise d’une illusion (Paris: L’Harmattan 2007) explores the connections between African studies in France and French policies in Africa. In 2002, he published The History of Congo (Greenwood Press). He is also the co-editor (with Charles Tshimanga and Peter Bloom) of Frenchness and the African Diaspora: Identity and Uprising in Contemporary France (Indiana University Press 2009). During academic year 2008-09, he was selected as a US Department of State Fulbright scholar and carried out both research and teaching activities at the Université de Kinshasa. He obtained a prestigious Eurias fellowship that allowed him to spend the 2011-12 academic year at the Nantes Institute for Advanced Studies where he developed the Tropical Cowboys (IU Press 2016) manuscript. Professor Gondola has devoted the past two years on an ambitious collaborative project that focuses on the emergence of HIVs in colonial Africa. The project brings together a team of virologists, epidemiologists, demographers, historians, and anthropologists based in the US, Europe and Africa. He has organized and convened an international conference on that topic in Nantes, France, in June 2012. In addition, he spent a year (2015-16) as senior scholar at the Collegium of Lyon, France, where he developed a biographical manuscript on André Matswa Grenard, a political activist and charismatic visionary who campaigned for emancipation in France and the French Congo during the 1930s. Colonial Africa, African Diaspora, popular culture, gender and urban issues in west and central Africa. World history surveys and upper-division courses in African history. 2015-2016 Recipient of a Senior Fellowship from the Collegium of Lyon, France 2011-2012 Recipient of a European Institute for Advanced Studies (Eurias) Senior Fellowship and resident at the Nantes Institut d’Etudes Avancées, October 2011-June 2012 2010 Recipient, International Development Fund from the IUPUI Office of the Vice Chancellor for Research. 2008-2009 Recipient of the J. William Fulbright Foreign Scholarship, Bureau of Educational and Cultural Affairs of the United States Department of State (Research conducted in the Democratic Republic of the Congo) 2006 recipient of the New Frontiers in the Arts and Humanities Grant, Indiana University Office of the Vice President for Research. author, Villes miroirs: migrations et identités urbaines á Brazzaville et Kinshasa, 1930-1970 (Mirror Cities: Migrations andUrban Identities in Brassaville and Kinshasa) (Paris: l'Harmattan, 1997); The History of Congo(Greenwood Press, 2002); Africanisme: La crise d’une illusion (Paris: L’Harmattan, 2007); Frenchness and the African Diaspora: Identity and Uprisng in Contemporary France, co-edited with Peter J. Bloom and Charles Tshimanga, (Bloomington, Indianapolis: Indiana University Press 2009); Tropical Cowboys: Westerns, Violence, and Masculinity in Kinshasa (Bloomington: Indiana University Press, 2016); and numerous journal articles and book chapters.